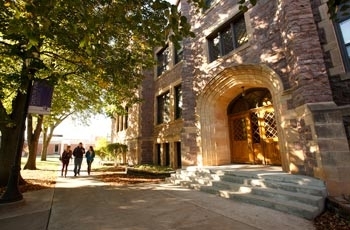 The University of Sioux Falls Writing Center exists to supplement and support regular classroom instruction by providing one-on-one interaction with individual writers. The Writing Center welcomes any student from any course at USF. Our services adopt a process-oriented approach striving to develop better writers, not merely better writing. We aim to equip students with the skills necessary to become effective, independent writers. Staffed by undergraduate peer consultants, the USF Writing Center strives to fulfill its mission by offering a variety of services, including 30-minute consultations with writers working on a particular project, regularly scheduled tutorials for writers seeking consistent feedback over the course of the semester, and periodic large-group workshops. The USF Writing Center is located in the lower level of Mears Library. In addition to our talented staff, the USF Writing Center also offers networked computers and a library of print resources available for writers. Dr. Greg Dyer, associate professor of English, is the director of the writing center. 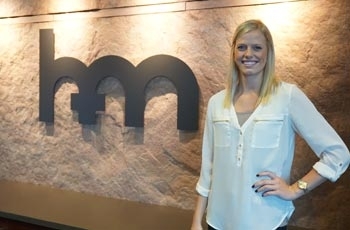 Dr. Dyer can be contacted at 331-6599 or greg.dyer@usiouxfalls.edu. The USF Writing Center offers a range of services to serve writers at USF. Whether you are an established writer who recognizes the benefit of receiving feedback from a thoughtful reader or a developing writer pursuing more effective writing strategies, one or more of our services can be helpful. View our services below. At the heart of our services is the 30-minute consultation, wherein writers work one-on-one with a member of the writing center staff. All writers--whether developing or accomplished--benefit from the presence of feedback throughout the entirety of the writing process. 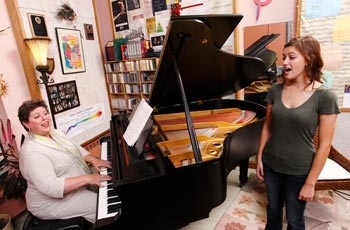 By adopting a process-oriented approach, the USF Writing Center recognizes that individual writers arrive with unique abilities and that individual texts present unique challenges. When a writer arrives at the USF Writing Center to meet with a member of the staff, the peer consultant will first want to learn about the writer, the assignment, and the writer's goals for the session. The rest of the session is then negotiated by consultant and writer as they discuss various aspects of the paper and strategies for development. Typically, staff members ask the writer to read the paper aloud or they read through the paper along with the writer. Consultants won't take the paper and mark errors, but they will ask questions, offer strategies, and provide feedback related to the writer's concerns. Through these one-to-one conversations, we hope to assist writers in developing the habits of mind that are most often characteristic of successful writers. Writers may use our online scheduling feature to secure an appointment ahead of time and ensure the availability of a tutor. Or, writers may also drop by on a first-come, first-served basis. Click here to schedule a consultation with a member of the writing center staff. Writers who feel they might benefit from consistent interaction with a writing center consultant are invited to contact the USF Writing Center to arrange for regularly scheduled tutorials. In such cases, writers schedule a specific and regular session at the Writing Center--perhaps weekly or bi-weekly. Once scheduled, the regular thirty-minute sessions will focus upon pursuing the writer's goals within the context of his or her regular coursework. At various times during the semester, the USF Writing Center offers evening workshops geared toward writing-related issues surfacing in courses across campus. For example, during spring semesters, we often schedule workshop sessions on MLA or APA documentation to coincide with the due dates for major assignments in LAR 112. In these workshops, writers work in small groups facilitated by writing center consultants. These are not lecture sessions, so writers should bring materials (e.g., drafts of papers, etc.) on which they can apply the strategies discussed. USF Writing Center workshops are typically scheduled in the evening and held in the Library Classroom (lower level of Mears Library). Workshops are generally publicized through campus email and the writing center’s Facebook page. What is the USF Writing Center? 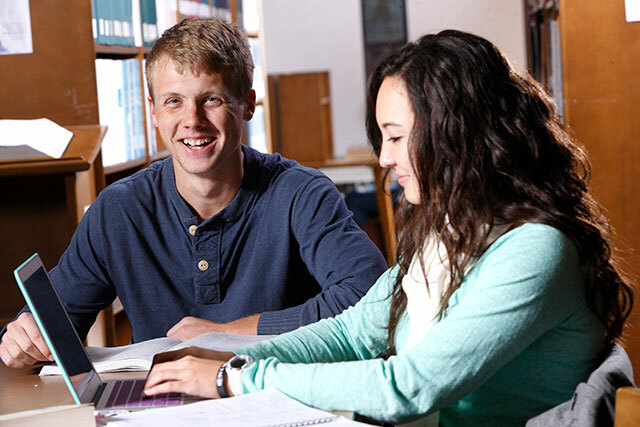 The USF Writing Center exists to supplement and support regular classroom instruction by providing one-on-one interaction with individual writers. Our services adopt a process-oriented approach striving to develop better writers, not merely better writing. We aim to equip students with the skills necessary to become effective, independent writers. More broadly, our goal is to contribute to a culture of writing on the campus of USF. For this reason, we have sponsored a number of broader opportunities for USF students, including visiting writers, student writing awards, and the publication of student writing. Who can use the USF Writing Center? 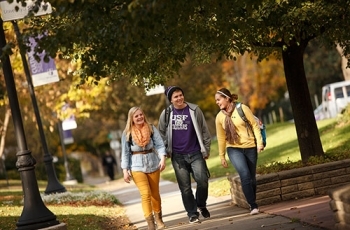 The USF Writing Center serves anyone affiliated with the University of Sioux Falls, be they students, staff, or faculty. Primarily, we aim to serve students from any course at USF--from LAR to senior seminars to graduate courses. Established writers who recognize the need for constructive feedback are just as welcome as developing writers seeking to address particular concerns. Why should I visit the USF Writing Center? When a writer arrives at the USF Writing Center to meet with a member of the staff, the peer consultant will first want to learn about the writer, the assignment, and the writer’s goals for the session. The rest of the session is then negotiated by consultant and writer as they discuss various aspects of the paper and strategies for development. Typically, staff members ask the writer to read the paper aloud or they read through the paper along with the writer. Consultants won't take the paper and mark errors, but they will ask questions, offer strategies, and provide feedback related to the writer’s concerns. Through these one-to-one conversations, we hope to assist writers in developing the habits of mind that are most often characteristic of successful writers. Writers utilizing the services of the USF Writing Center may either make an appointment or drop by on a "first-come, first-served" basis. While we are usually able to accommodate drop-ins, if a writer wants to ensure that a consultant is available, we suggest her or she make an appointment. This is particularly true during the certain periods of the semester, such as midterms, finals, and those dates around which LAR papers are due. Click here to schedule a consultation with a member of the writing center staff. Writers may make appointments for the USF Writing Center online using our online scheduling feature. Upon their first use of the online scheduling feature, writers will need to register by providing some profile information, such as their email address, name, and student ID#. Once registered, students may simply log in to view the USF Writing Center schedule and make an appointment. This same feature may also be used to double check appointment times, or even to cancel an appointment, if necessary. How can I get the most out of my visits? In order that writers may make the most effective use of the USF Writing Center, we recommend that writers keep in mind the following suggestions. Come in early, rather than waiting until the last minute. We often work with writers who drop by the day a paper is due, but such an approach severely limits the type of conversation we can have. Arrive at the Writing Center with a specific sense of your own goals for the session. We can help identify questions and issues that may warrant further attention. However, the more specific one can be about what he or she wants to address, the more quickly and specifically we can address those issues. Bring the assignment sheet and any work already completed for the project at hand. The assignment sheet allows us to more accurately understand the demands of the writing task and the audience being addressed. With previously completed materials on hand, consultants are able to more fully understand where the writer may be in the writing process.